and each year we help more businesses grow with SMS marketing. Regardless of business size or budget, text message marketing can help you grow your business. You get a marketing team with 11 years of experience that will work with you to ensure your success. No SMTP / email texts, just real SMS. Our platform offers the latest features available. SMS & Email, Two-Way Chat, Data collection, and so much more. No other company offers the same rates. Our team of professionals can make your idea a reality in little to no time at all. Call us at 866-480-8398 and speak to one of our custom integration professionals. 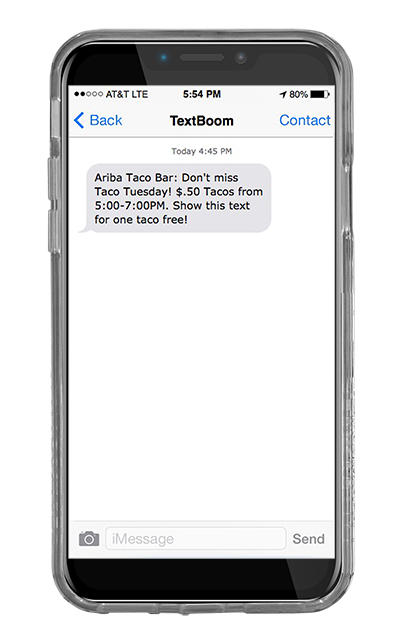 TextBoom has helped over 3,000 businesses grow nationwide.